Christopher Felver and Ted Soqui, Just Occupy exhibit. Saturday, January 14, 7:00 – 10:00 pm opening night. ROBERT BERMAN GALLERY presents JUST OCCUPY - an exhibition documenting the Occupy movement featuring photojournalists Ted Soqui and Christopher Felver. In the spirit of the Occupy movement, Robert Berman Gallery at Bergamot Station Arts Center will be holding a pop-up exhibition titled JUST OCCUPY featuring the photojournalistic, yet intensely striking photographs by Los Angeles photographer Ted Soqui. Soqui is a seasoned Los Angeles photojournalist, whose photographs were featured in the New York Times, LA Weekly and other international journals around the world. Ted Soqui’s iconic photograph of the female protester with the 99% bandana, knit cap and shockingly intense eyes was chosen by artist Shepard Fairey for the cover of TIME magazine’s person of the year. 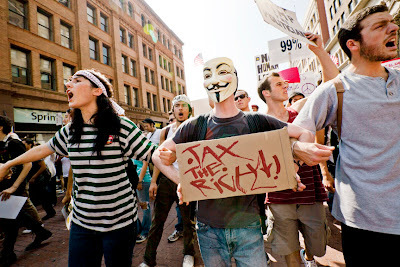 The image is now the symbol for the Occupy movement, not only from Wall Street, but from Arab Spring to Athens to Moscow. 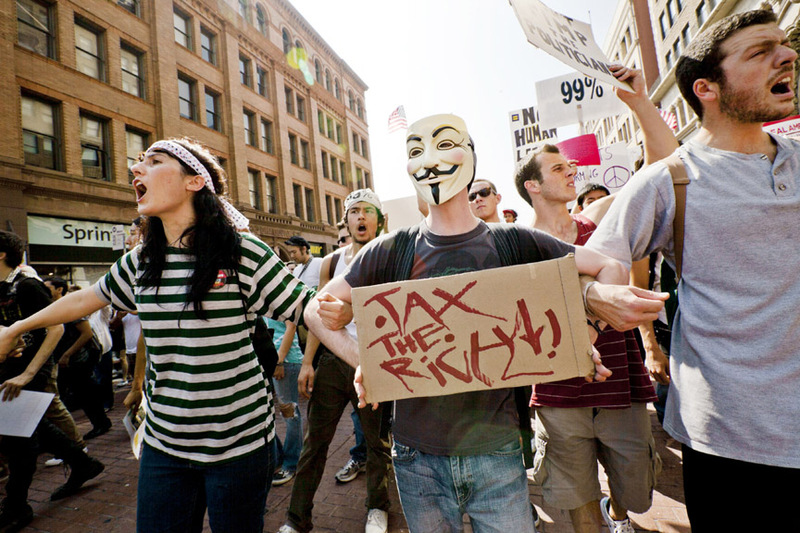 JUST OCCUPY will be the first exhibition and documentation of the Occupy LA phenomenon, which lasted longer than the Wall Street occupation, of which all images are intense, provocative and beautiful. Also featured in JUST OCCUPY will be a series of photographic collages by photojournalist Christopher Felver, who is known for his documentary photographs of the beats, poets and musicians.These photos from his Ordered World series show a stark contrast to the narrative photos of Ted Soqui, yet have a different impact by showing the force of simple words when joined together such as: JUST PEACE, JUST WAR, JUST 99%, JUST OCCUPY. JUST OCCUPY will open in conjunction with Photo LA on Saturday, January 14th, 2012.